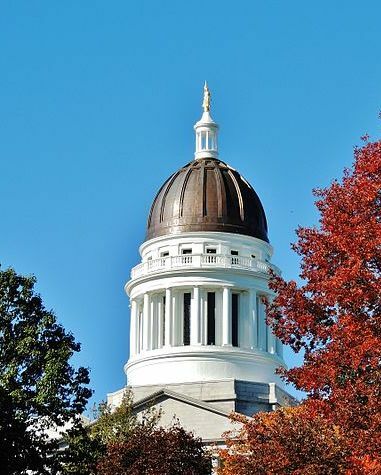 The Maine legislature is currently considering LD 1141, a resolve “Directing the Department of Transportation To Construct the Merrymeeting Trail from Topsham to Gardiner.” This bill’s passage would initiate the state’s process, and would mark a critical step forward for the Merrymeeting Trail. Add your name to our sign-on letter of support for LD 1141! Contact your state legislators and let them know you support LD 1141.You can find your legislators’ contact info by entering your address here. Join us at the hearing in the Transportation Committee hearing room, State House Room 126, and provide testimony in support of LD 1141 (date TBD). Write a letter to the editor of your local paper supporting LD 1141 and the Merrymeeting Trail! Read this excellent op-ed on the Merrymeeting Trail by Doug Rooks and share it with your networks! If you would like to consider testifying in person, please send an email to merrymeetingtrail@gmail.com to let us know. We will follow up with more information on what that entails (while testifying can seem scary, remember that each testimony is limited to three minutes, and that legislators love hearing from citizens — it will be a friendly room!). You can also find lots of useful info in this Merrymeeting Trail fact sheet(PDF) and on this web site. If you have any questions, feel free to email and pose them as well. The Merrymeeting Trailblazers group continues to meet regularly, and someone will get back to you ASAP. Thank you for your support of Merrymeeting Trail!